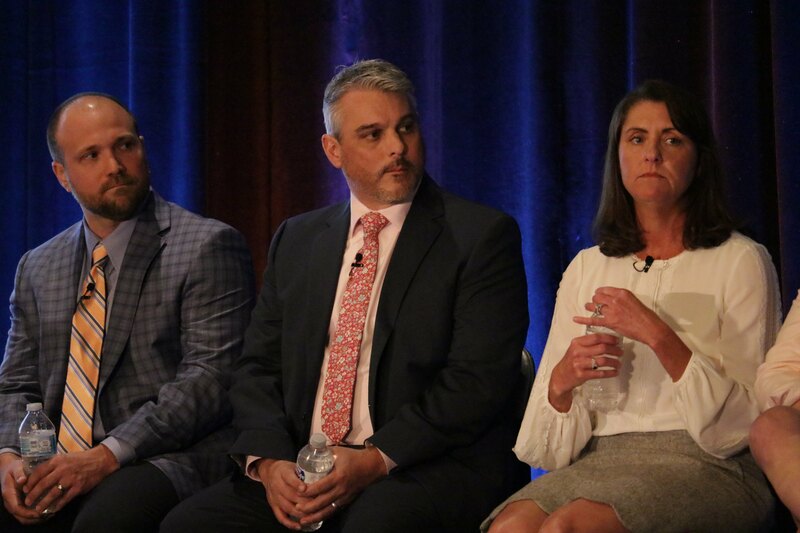 I was recently given the fantastic opportunity to participate in two outstanding panels and share center stage with some of our most decorated peers in the benefits Industry. The experience was transformative for me personally and reinforced the obligation I feel we all have to elevate our collective impact to those we advise. I play moderator and inquisitor often and I’ve even started hosting a virtual discussion this year that tackles our social impact inside the health plan industry. As an organizer or panel moderator, all the hard work is done pre-event when structuring a set of compelling personalities and topics that balance the right mixture of potential wheels-off commentary voices for infotainment, alongside the topic curation to stimulate cerebral engagement. That is a whole art form I participate in regularly — and increasingly less fearlessly, thanks to practice and repetition. Occupying not the seat of the moderator, but the seat of the panelist and the talking head who must provide energy and perspectives to engage the listener is a totally different perspective. It is, of course, comforting that you have other voices that carry an equal load of that responsibility, but there is also the pressure to tastefully let your freak flag fly. Here a few lessons I learned from each opportunity. Look left to the moderator, look right and left to co-panelists, look into the audience and making eye contact when speaking and while listening, don’t look directly into the glowing stage lights, make sure you only glance at the timer and not stare downwards, remind yourself to not care how awkward your handling of a plastic water bottle looks to the audience, and also make sure you’re actively listening to all your co-panelists responses to stay on point. These are unique skills that I need more practice with. Honestly, just rehearsing the answers you want to give isn’t enough. I was really glad I showed up early and had some goofy fun on the stage to get acclimated to the surroundings and become mentally sure that I pwnd that stage. The one thing I’d do differently would have been to have someone else rehearse as a panelist as well, so I could have anticipated the cadence and flow of the transition and possibly been more comfortable. My other regret was a lack of execution on a few of my prepared responses to questions about industry disruption and political pressures, where I’d sprinkled in song lines from the musical Hamilton such as “The Room Where It Happens” and it must be nice to have “Washington On Your Side”. I just became engrossed in the moment and forgot to include my points of subtle levity. This format was very different than the BOY presentation, as three of us were asked to share our own chosen stories in a case study rather than Q&A format. Here, I was able to personalize the points of interest and draw in the audience by discussing the client journey and my approach. I knew from a direct impact to hard dollar costs I had chosen a sub-optimal case; however, it was the beauty of tangible dollar-saving against the odds of only average deployment that I wanted to share. I had even gone so far as to make sure I was highlighting a case that wasn’t one of my outliers in hopes it would carry a greater power of credibility than an anomaly case could provide. I was excited to talk about the learning process for both the employer and my team regarding how data points uncover new opportunities to improve the lives of a client’s employees and really find focal points where our increased efforts can multiply positive improvements to their full potential. My regret here was I forgot to mention this was only an average to sub-average case. Next time, I’m spelling the number one point I want to convey in the largest font size possible on a PowerPoint slide all by itself. It seems even the adult in me needs a Speak & See to drive the educational point home. Just as in every conversation and meeting, we have the opportunity to improve our craft and elevate our outcomes in peer meetings and conventions. It’s not about self-promotion or feeding a personal ego; it’s about being ready for the challenges when your advice either causes strife or paves the pathway to better outcomes for the end-users. If we can’t share and learn together in our failures and successes, we do a disservice to those who pay us to earn their trust. I encourage everyone to participate in the exercise of sharing their story and listening to competitors without jealousy. There are nuggets of gold beyond the sound bites we can all harvest to share with those clients we truly care about.